NEW INTERACTIVE LIVE STAGE SHOW OF DISNEY’S “THE LITTLE MERMAID” PRODUCED BY SOUND STAGE LIVE! TO RUN FROM MARCH 15-18! This is the first ever immersive musical theater experience to be held at the El Segundo Performing Arts Center. The show combines live actors, animations and guests mobile devices. This production of “The Little Mermaid” stars Chassey Bennett and is directed by Karl Warden. The four-day run will be hosted by YouTube sensation Todrick Hall, and those who purchase VIP tickets will have the chance to meet Todrick, attend a special Q&A, and have front row seats. Unlike traditional theater, this new format encourages patrons to pull their cell phones out, rather than put them away. There will be a red carpet, themed snacks and games in the lobby, before the interactive show begins. Sound Stage LIVE! is a social experience in which participants can share with friends. 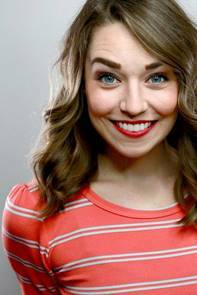 Chassey Bennett makes her debut as her childhood favorite princess, with recent credits as: “Joseph & The Technicolor Dreamcoat” (3-D Theatricals); “Footloose” (The Candlelight Pavilion); “Sister Act” (Musical Theatre West); “Rent” (La Mirada Theatre/McCoy Rigby Entertainment). 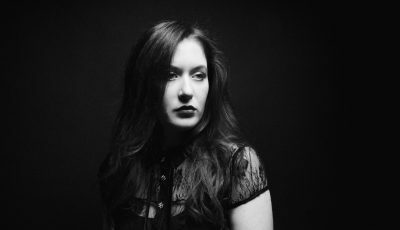 Past credits include: “Les Miserables” and “Side Show.” Chassey received her BFA from AMDA. Thanks for your time! So where does this interview find you today? Has it been a good day? I had a pretty exciting day, actually! 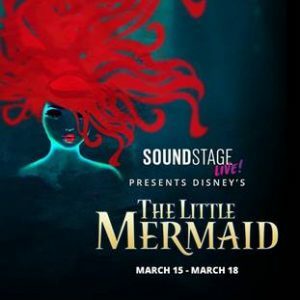 I was given the opportunity to promote Sound Stage LIVE and our production of “The Little Mermaid” on ABC channel 7 news in a taped interview as well as an over the phone interview with LAExcites.com! 2017 was a really special year for me and my career. I was cast as Ariel in a production of “The Little Mermaid” at The Moonlight Amphitheater. Ariel was a dream role for me and I was honored to have the opportunity to tell her story. That is when I met and worked with Karl Warden for the first time; our director and choreographer for this production. He choreographed Moonlight’s production and I couldn’t have been more lucky. After we closed “The Little Mermaid”, Karl cast me as Wednesday in a production of “The Addams Family” he choreographed. Once Karl found out about working with Sound Stage LIVE on another production of “The Little Mermaid”, he immediately contacted me and I am forever grateful. As far as this year goes, I’m excited to see what other opportunities my experience with Sound Stage LIVE will lead to! A career goal I have for 2018 is to continue building my resume as well as expanding my network. Thanks to Karl and Sound Stage LIVE, I’m already on my way! Yes, absolutely. I have been performing in musicals since I was 5 years old. It has always been my dream to perform for a living and I truly can’t imagine myself doing anything else. Music has always been a huge part of my life. Other than performing in musicals, I started singing professionally around the age of 7. My first musical experience was with my Kindergarten class at school. We did a production called “Stone Soup” and I was hooked. From there, I went on to do about 80 productions throughout my childhood at a community theater in Orange County. So how did you get to be a part of this new interactive live stage show of Disney’s ‘The Little Mermaid’? Has this been something that you have wanted to get involved with for awhile? I owe this entire experience to Karl Warden! He has honestly changed my career with all of the opportunities he’s given me over the last year. Once I heard about Sound Stage LIVE’s concept, I was immediately intrigued. I still am! I’m very excited to see how it all works and how people respond to it. I think it could change how people see musical theater as well as bridge the gap between musical theater and the younger generation. What can audience members expect from these performances? And your role in it in particular? The audience members should expect to see something magical. To have a 360 immersive experience in a show like “The Little Mermaid”, where a lot of it takes place underwater, it’s going to be pretty incredible. Are you a big fan of The Little Mermaid? Have you learned anything about this story that you didn’t know before? What other Disney movies do you love? “The Little Mermaid” came out the year I was born so I’ve been watching it my entire life. Growing up, it was one of my favorite films and I would sing “Part of your a World” in costume all the time. When I played the role last year, I learned that when singing the song “Part of your World” Ariel doesn’t sing the lyrics “part of your world” — she only sings “part of that world”. She doesn’t get to sing “part of your world” until the reprise of the song after she’s rescued Prince Eric. Other Disney classics I love are Pocahontas and Beauty and the Beast. Musicians who have always and continue to inspire me are Celine Dion, Barbra Streisand and Shoshana Bean. I don’t know what I’d do if I ever got to share the stage with any of those women! Right now, I’m still auditioning for some summer projects so things are up in the air! However, I perform in “Frozen: Live! At the Hyperion” in Disneyland’s California Adventure and I also tour with “The Imagination Machine” to elementary schools throughout SoCal. 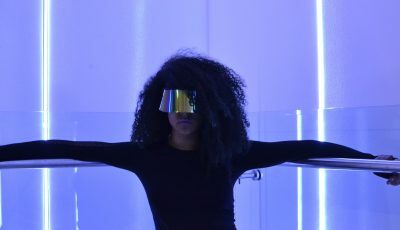 An Interview With the Electronic, Hip Hop, Pop and Punk Melting Pot Group, NO NO YEAH OKAY!